What do you do when there’s an alligator in your living room or lynx in your sinks? The folks from the Wildlife Rescue League know what to do. In September of 2017, Texan Brian Foster returned home after Hurricane Harvey … And found a ten-foot alligator in his dining room. In November of that same year, residents of a small town in Arizona reported an orphaned mountain lion cub in distress. They knew the cub needed help, but also knew that with wildlife, the wrong kind of help could be worse than none at all. All over the world, animals and people find themselves in predicaments that bring them together. Often in ways they really shouldn’t be. In drought-stricken India, a deadly king cobra slithered into a village looking for water. These snakes generally avoid humans, but thirst had driven it straight into town. This video below shows compassionate locals giving the poor guy a drink from a water bottle. You might smile at some of these encounters. Others are decidedly more serious, even when they don’t look problematic. Scared wildlife can be very dangerous. But what would you do? Lina Oliveras of the Wildlife Rescue League says stop! Handling wildlife, especially injured wildlife, can be dangerous … Not to mention illegal. Some “exotics” — a catchall term for animals found in the wild that are also kept as pets — are fine living with humans. These include guinea pigs, tortoises, rabbits, iguanas, and ferrets. With others, it’s a different story. Wildlife Rescue League – to the Rescue! As cities grow and expand into areas once free of humans, encounters between people and wild animals grow more frequent. Also, natural disasters like hurricanes, droughts, and wildfires bring animals out of their natural habitats and into human communities. Alligators and king cobras on the doorstep are rare enough to make the news. But people across the US have gotten used to seeing skunks, raccoons, opossums, and others. These smaller, furry creatures may seem less threatening than giant venomous snakes and toothy crocs. But they still pose a nuisance to homeowners and sometimes even a rabies threat to people and pets. Even the cutest wild animal is still a wild animal. Gennaro Micillo, the person who made the viral “Lynx in Synx” video below. wrote he’d adopted “this beautiful breed of cat” before he knew what they were. 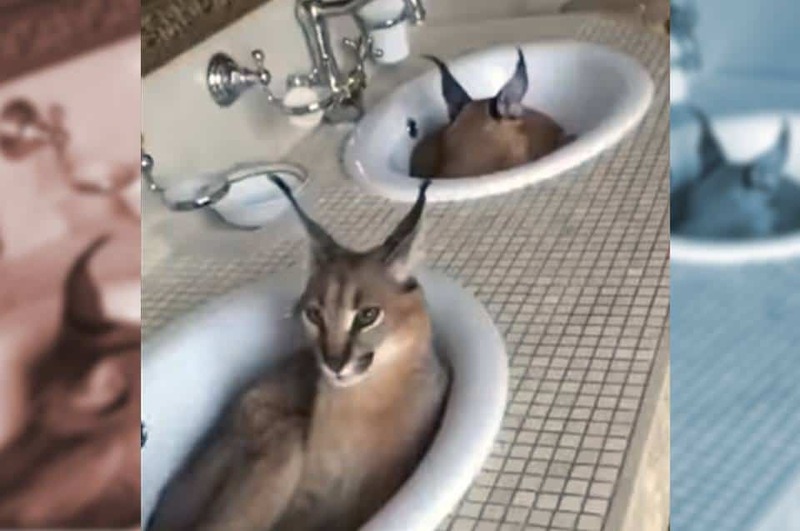 Technically, these aren’t lynx, they’re caracal lynx. These felines live in Africa, the Arabian Peninsula, and northwest India. But we concede that caracal lynx in synx doesn’t have the same ring to it. So what should you do when you find a raccoon in the carport, a rattlesnake in the toolshed, or a lynx in the sink? What if it’s injured? Should you try to move it? Maybe take it to a shelter or wildlife center? Don’t worry. The Wildlife Rescue League is ready to assist you with resources and advice. The Wildlife Rescue League is not a shelter or a rehabilitation center. Rather, it’s your first stop for information about animals you may encounter. At the Wildlife Rescue League website, you can read about different kinds of wild animals. This way, you’ll know what you may encounter, their basic behaviors and traits, and what to do if you run into them. So what do you do if you find yourself face to face with a wild animal that you think needs your help? The Wildlife Rescue League’s species-specific checklist can tell you how to decide if the animal actually needs your help. And if so, what is the best and safest way to go about it. They can also direct you to the contact information for a wildlife center in your area. You can even call their hotline ((703) 440-0800) for in-person advice about how to proceed. The Wildlife Rescue League doesn’t take in injured wildlife. But it does help with transport between veterinarians and rehabilitation centers. The WRL is a registered charity. To support them, visit their donations page, or, if you’re in the area, sign up as a volunteer. The Wildlife Rescue League can advise you on whether this baby bunny’s in need of help … Or if its mother’s out foraging for food. Image: CC0 Public Domain via Pixabay. Another group on the front lines of animal rescue, for both pets and wildlife, is Pennsylvania’s Animal Rescue League and Wildlife Center. This nonprofit is one of the oldest animal welfare groups in the United States. Founded in 1909, it is both a pet shelter and a wildlife center. It maintains a contract with the city of Pittsburgh for the sheltering of stray cats and dogs. But they’ve also operated a wildlife rehabilitation facility since 1997. The Animal Rescue League provides the services you’d expect from an animal shelter. These include low-cost vaccinations, medical tests, spay and neuter surgeries, and microchipping. They’re also wildlife rehabilitation experts, with over 23 years of experience. They take in over 4,000 injured wild animals each year, and have a great track record. 65% of the animals get released back into the wild—that’s twice the national average! In 2017, the Animal Rescue League merged with the Western Pennsylvania Humane Society to become Humane Animal Rescue. Their website also has information and advice about helping wildlife. Both the Animal Rescue League and the Wildlife Rescue League offer the following advice. 1) Determine if the animal actually needs your help. With many species, like deer, opossums, and rabbits, mothers will leave their babies for up to 12 hours between feedings. If you come across a baby, the mother may be nearby, even if you don’t see her. 2) Handle With Care. Injured animals often don’t know that you’re trying to help them, and will defend themselves with claws, talons, teeth, and beaks. Some, like foxes and skunks, are rabies carriers. If you do decide to take an animal to a wildlife center, advises the Wildlife Rescue League, protect yourself with thick gloves and a towel (or a t-shirt for birds, whose feet can get caught in a towel, causing injury). Always remember that to these creatures, a human trying to rescue them looks like a large predator taking advantage of their situation. Be careful, for your own sake, and for theirs. While the animal is in your care, giving it a quiet, dark, and warm space safe from other animals is key to its survival. 3) Contact a Professional. Only licensed wildlife rehabilitators should attempt to care for injured wildlife. The rest of us should contact our local wildlife center, or a professional organization like the Wildlife Rescue League or the Animal Rescue League and Wildlife Center. It’s sad but true that a lot of people still think that wild animals make cool pets. This almost never works out, not for the humans and not for the animals. You may remember this story about a lion, tiger, and bear rescued from captivity when their drug-dealer owner was arrested. The animals had formed an unusual friendship bond, and refused to be separated. Their story did end happily, at a wildlife center (Noah’s Ark in Georgia). But many similar stories do not. Even with the best intentions, most people don’t have the knowledge or the resources to keep wild animals safely and humanely. Sometimes, overwhelmed owners of exotic pets resort to dumping them, assuming that, after a life in captivity, these abandoned animals will be able to take care of themselves. This often ends up tragically for the animals. 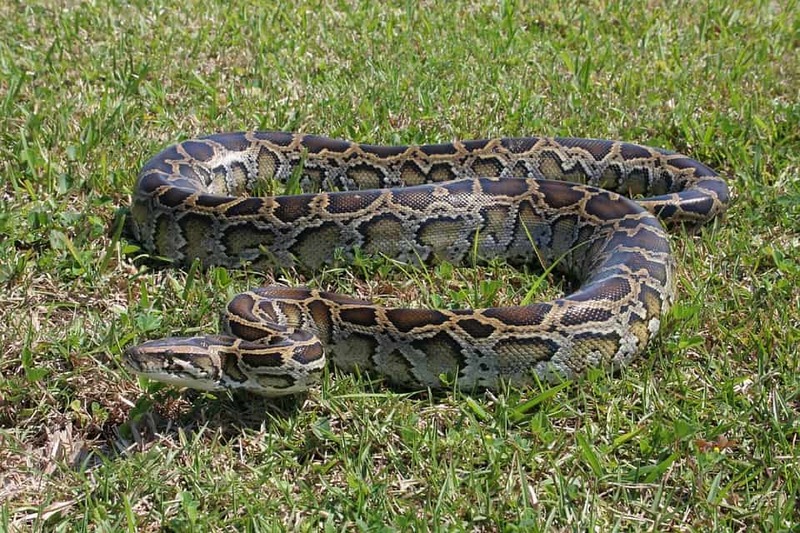 In Florida, however, abandoned Burmese pythons are flourishing…and causing a huge headache for the people living there. There is just no safe, humane way for an untrained person to keep wildlife, even with the best intentions. 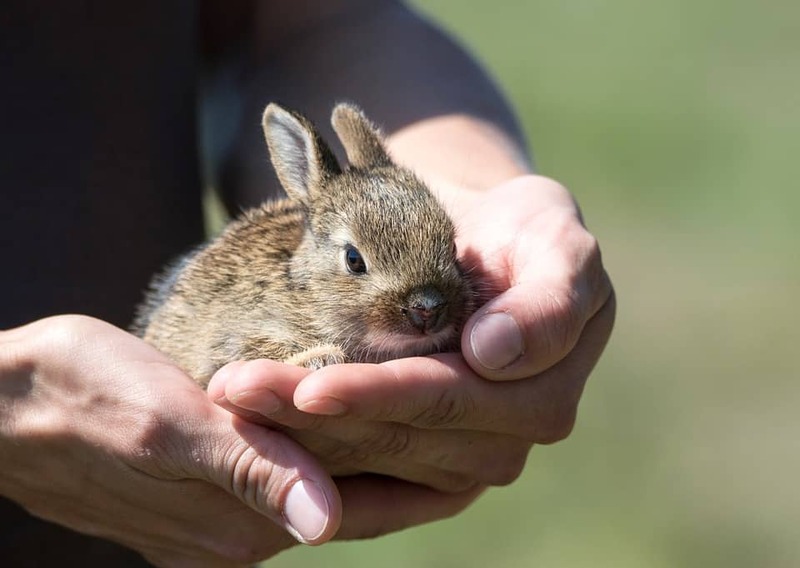 However, if you’re interested in learning how to care for wildlife, the Wildlife Rescue League and other organizations offer classes in wildlife care – some of which can even lead to licensing as a wildlife rehabilitator. If you don’t want to go that far, however, you can still help by donating or volunteering with the Wildlife Rescue League, or your local wildlife center. Featured Image: Genarro Micilla via YouTube.